Sometimes, a client will come to us with a unique website proposal that requires very specific functionality. In these cases, it’s usually not possible to utilise out of the box solutions such as WordPress, and therefore the solution is to create a custom build. Building a website from the grounds up is great as it’ll allow complete control over the website. As we build most of the code, it is more time consuming and therefore costly. We do however use a PHP framework called Laravel as the foundations upon which we base your website. A framework is essentially a toolbox we can use to speed up the development process and therefore minimise the cost for you. 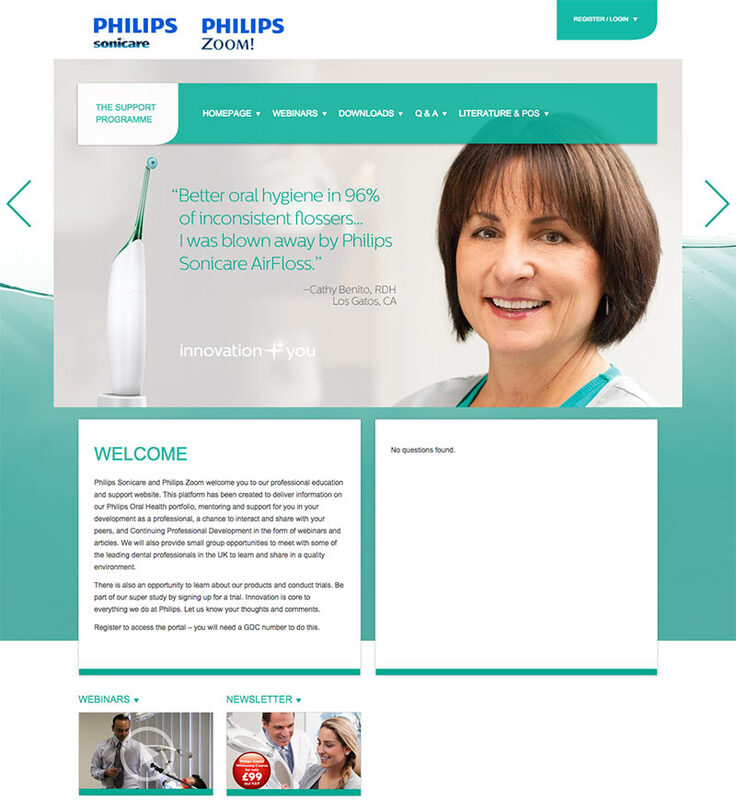 Philips Sonicare required a website built to provide support for dental professionals. They wanted a site that allows users to sign up (which gets reviewed by the admin) and post questions at specific mentors. In addition, they wanted users to be able to download material and view recorded webinars. The reason we opted for a custom build in this case was because they require a lot of flexibility and reactivity. They would sometimes require some bespoke functionality added within tight deadlines. A custom build using Laravel allowed us to achieve this, which is why it was an ideal solution. 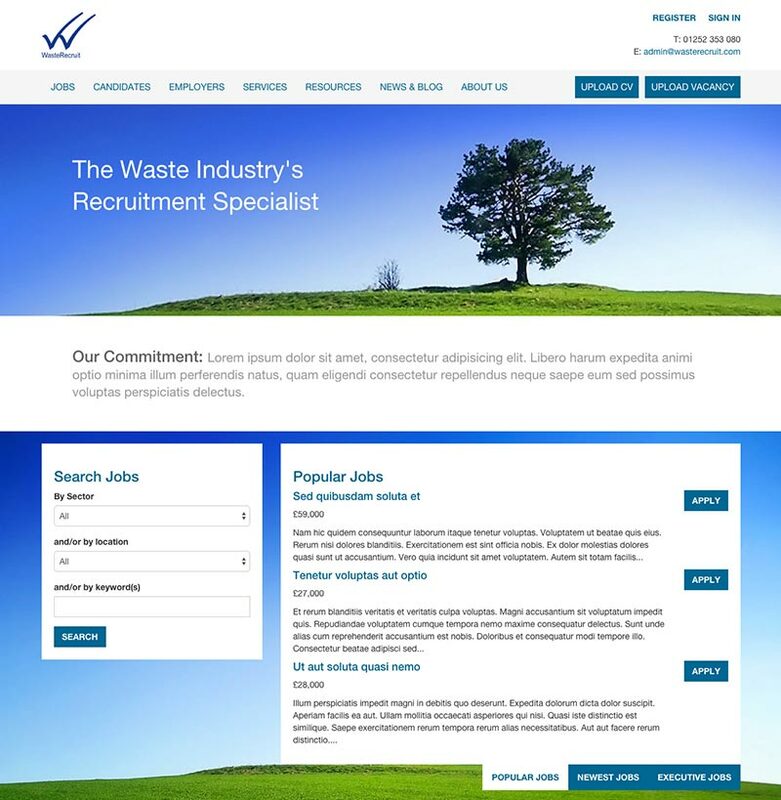 WasteRecruit is a recruitment specialist for the waste industry. They had an existing website they had built quite a while back. 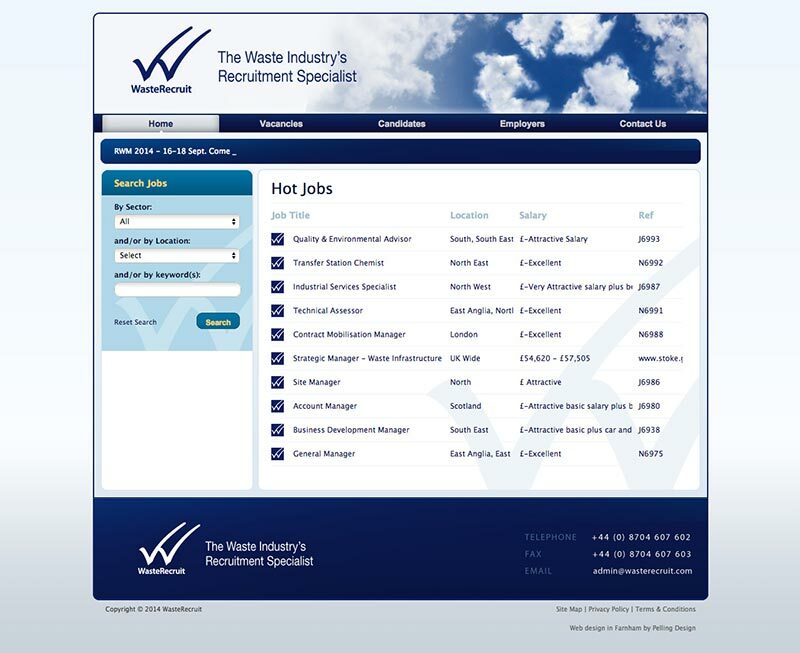 As a recruitment agency, the website plays a very important role as it allows candidates to browse and apply for jobs online. Although the website was using modern technology & techniques at the time, it was inevitably becoming outdated. The client recently approached us requesting a redesign. As well as a visual overhaul, they decided to take the opportunity to get the website recoded from scratch, to improve functionality and usability. We also noticed that the previous website was not responsive. Having a mobile version of websites is important for users, but we felt that this was even more the case in this niche as we believe a lot of users will browse for jobs on the go. We therefore also created a mobile version of the website, with the ability to save jobs for later viewing.